While the decision of the Ombudsman is a positive result, why does it take so much effort to recognize that seclusion rooms are an affront to dignity and humanity? As the Chief Ombudsman noted in his decision, the result only occurred because the child’s parents were furious when they discovered how their child was being abused and, critically, raised a ruckus. Why must parents raise a ruckus to have their children treated decently and humanely? This isn’t only about minors. Ashley Peacock is an adult living with intellectual disability, autism and mental illness. Under New Zealand’s Mental Health Act, Ashley Peacock was a compulsory, institutionalized patient. In that capacity, Ashley Peacock had been placed in solitary confinement, “seclusion rooms,” for years on end. In 2016, his parents started a national and international campaign to get their son out of the hellhole of solitary confinement and into more appropriate community based services. In 2016, Ashley Peacock was 38 years old. He had spent ten years in “care” institutions. Most of that time, he spent in isolation. In 2017, Ashley Peacock was moved to a community location. 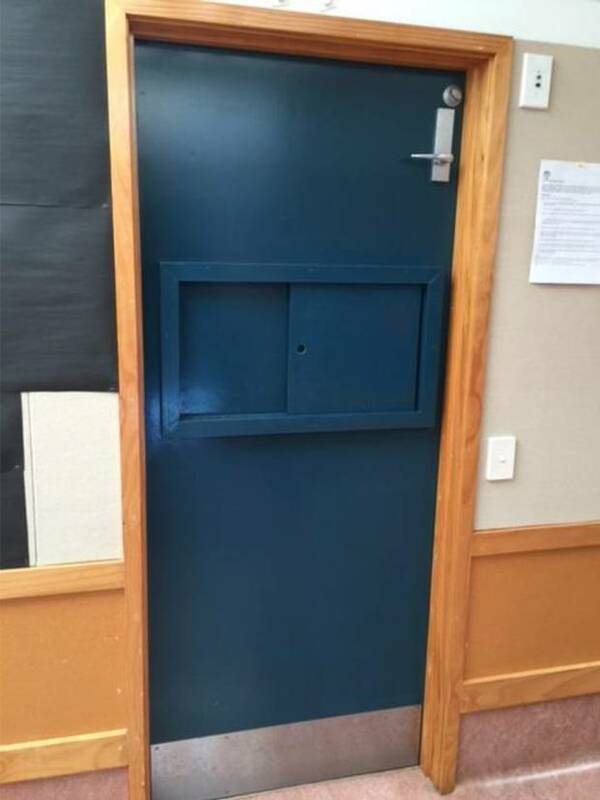 In December 2017, New Zealand announced it would phase out seclusion rooms in psychiatric institutions within two years. Advocates for autistic children worry that, despite the law, schools might still use seclusion rooms. Consider this: no one knows how many hours that eleven-year-old child spent in solitary confinement, crying and pleading for help, because there are no records kept. In other schools, teachers refused to talk to police about their use of seclusion rooms. Hopefully, New Zealand will invest in enforcement of the new laws, but more will be needed. We must ask ourselves about our investment in torture that passes for education, on one hand, and for care, on the other. Why should parents have to be furious in order to keep their children, at all ages, from being tortured? When did solitary confinement become an integral part of education? When did the vulnerable become the execrable, the cursed?